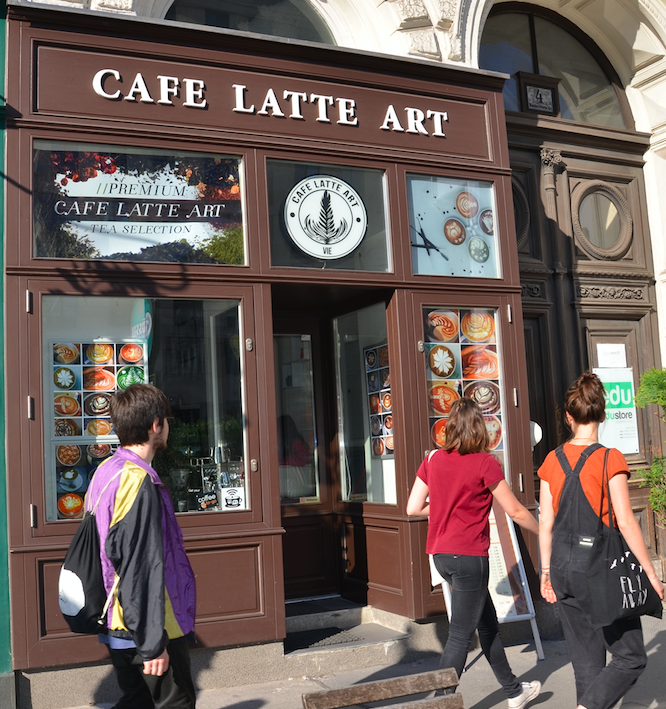 On February 15th, 2015 “Café Latte Art” opened its doors in the heart of the University of Vienna. Ever since, our guests as well as many tourists, have the chance to taste our delightful Viennese coffee culture combined with true art and passion. Alle Produkte kannst Du in unserem Geschäft erwerben. Lass Dich gerne von uns beraten, um genau Deinen Geschmack zu treffen. You can purchase all of these products in our shop. Please trust in us to give you advice on how to find your favorite taste. By now, it is known that the preparation of coffee, cappuccino, espresso or café late can be art. The work of a barista does not only consist of achieving a well balanced blend of coffee beans and processing them, but especially in the visual composition of different coffee specialities. A cappuccino or café latte is not only meant to address the sense of taste and the sense of smell. Elaborate decorations of milk foam constitute an art form – the „Latte Art“. Let yourself be enchanted by the art of our barista! We offer a variety of coffe beans from all over the world, prepared by Vienna´s barista no.1. Our ambition is to serve prime quality espresso, cappuccino, latte macciato and other exceptional coffee variations in every place at every time. He is one of the outstanding cafe latte artists in Austria, he discovered his passion and his love for coffee more than 11 years ago. From that moment on he started to work as a professional barista. Due to his extensive knowledge he is able to find the perfect coffee for each and every individual.